Qualcomm's next LTE modem can reach gigabit speeds, but that might not be the most important thing about it. The Snapdragon X16 LTE Modem, coming to devices in the second half of this year, is also the company's first chip for both major types of unlicensed LTE, the technology for putting cellular signals on frequencies like those used by Wi-Fi. And it has features to help phones take advantage of more frequency bands, as mobile operators combine them for higher performance over the coming years. Getting 1Gbps (bits-per-second) downloads would be great, but that's actually an ideal top speed most smartphone users won't see. Still, for comparison's sake, it's a big jump from Qualcomm's current fastest, the X12, which tops out at 600Mbps. The X16 will offer the same maximum upload speed as the X12, 150Mbps. The new modem could change the way people use phones, Qualcomm says. You could stream a concert to your phone over LTE almost anywhere in the world -- in virtual reality. All your files could reside in the cloud and still pop up like they were local. The X16 is faster because it can get more performance out of the same amount of spectrum, plus make several radio channels look like one big, fat band. Carriers are already stitching together as many as three standard 20MHz blocks of licensed spectrum into a virtual 60GHz band. And tying bands together isn't the only trick to getting more speed out of LTE. With the X16, Qualcomm will also give device makers a way to add more antennas and feed bits through them over more streams to a base station. In their quest for bandwidth, carriers are also starting to look into unlicensed frequencies, the kind Wi-Fi and some other systems use. So-called unlicensed LTE lets a cellular radio use shared bands instead of just the ones belonging exclusively to the mobile operator. The X16 will help here, too. It's Qualcomm's first modem that can be used for both of the major forms of unlicensed LTE. One kind, called LTE-U (LTE-Unlicensed), is under development in the U.S., China and South Korea and may be deployed by some carriers later this year. Another, LAA (Licensed Assisted Access), is the emerging standard for places including Europe and Japan. Having one chip that works all over the world can help to drive down the cost of developing devices, meaning unlicensed LTE could come sooner, and to less expensive phones, thanks to the Snapdragon X16. 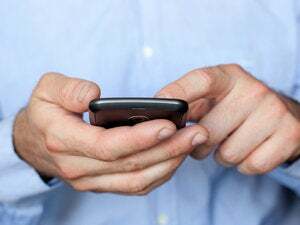 Unlicensed LTE could be a relatively quick and inexpensive way for a service provider to access more channels to boost users' data connections. It might even open the door to new kinds of cellular service providers. But some fans of Wi-Fi say unlicensed LTE will squeeze out the popular wireless LAN technology. They've clashed with Qualcomm and some other vendors and carriers, who say the two types of networks can get along just fine. Fortunately, the two sides are slowly coming closer to agreement. The Wi-Fi Alliance has developed a draft test plan to ensure coexistence between LTE and Wi-Fi. At a workshop on Wednesday, dozens of industry players agreed the plan was ready to be validated, the Alliance said. Qualcomm has its eye on more than just speed with the X16, which was announced along with several other mobile chips on Thursday. The company says it's now using a scalable architecture, modular components and common software so it can quickly roll out modems for a wide range of applications. High on that list is the Internet of Things, where tiny objects like sensors send small amounts of data but must use far less energy. While a gigabit will be great for smartphones and tablets, wireless is about far more than high speed these days.